Health is more than just eating the right foods, it is multi-faceted and involves other factors such as food security and food scarcity, says Minister for Health and Medical Services Rosy Akbar. 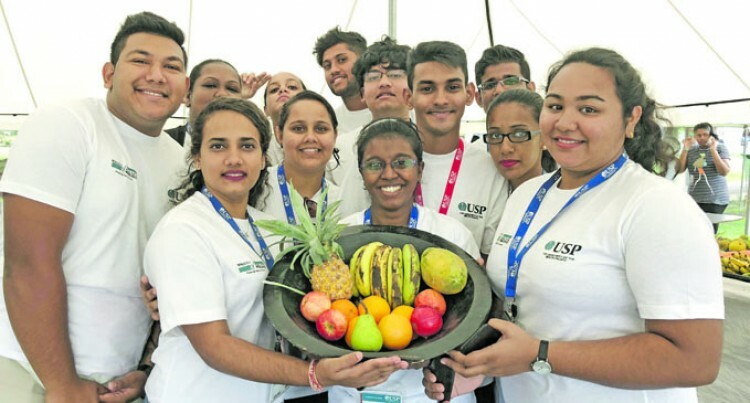 She made the comment while launching the University of the South Pacific’s Health Week. Ms Akbar highlighted that USP was an ideal platform to advocate health issues because youths are the power of the nation. She reiterated that there was an urgent need to address this issue because 80 per cent of deaths in Fiji were from non-communicable diseases (NCDs) with diabetes being the leading cause of death. “Lifestyle diseases are reversible. Diabetes, you can discipline through proper diet itself,” Ms Akbar said. She also drew a link between NCDs and climate change. Ms Akbar said the link between climate change and health was through the use of Goal 13 (climate action) and Goal 14 (life below water) of Sustainable Development Goals. Climate change brings about outbreaks of diseases, affects drinking water quality and leads to the severity of cyclones. All in all, the minister said, climate change affected food security in Fiji. “Fiji’s presidency of COP23, being co-chair of the UN Ocean Summit and as the Government, we emphasise, recognise and promote awareness on multi-stakeholders partnership as an important vehicle in mobilising and sharing knowledge on the 2030 Agenda on combating Climate Change,” she said. Ms Akbar said youths needed to prepare their food from local ingredients rather than relying on processed and fast foods. “We have embraced the Western lifestyle, the trend of engaging in fast foods and we know the consequences of consuming this day in and day out,” she said. Ms Akbar gave an example of a ministerial level programme called SOS, which is Save Our Souls from Sugar, Oil and Salt. She emphasised the need to go low on the intake of these three ingredients.